HTML5 is the current standard for content displayed in web browsers. Your ordinary web browsing depend on how well the browser you use supports this standard. In addition, some applications have web-based versions that use features of HTML5 to provide a solution that does not require the installation of any code, so that you can use the application on a computer that you are just using temporarily, such as a computer in a library or Internet café. Parallels Access and Parallels Remote Application Server are two examples of such applications. See Figure 1. Fortunately, there is an easy way to measure browser compliance with the HTML5 standard. The site HTML5 Test performs a comprehensive test of any browser and gives that browser a score from 0 to 555, measuring its HTML5 implementation. The higher the score, the better the browser supports HTML5. A Mac user who has Parallels Desktop has a wide range of browsers to choose from. With HTML5 Test, I was quickly able to measure seven different browsers. All my tests were run on a Retina MacBook Pro (Mid-2012 model). The host OS was macOS Sierra 10.12.1. The Windows guest OS was 64-bit Windows 10 Pro (build 14393), running in Parallels Desktop 12.1.3 (build 41532). The browsers used were the latest customer versions available, and the version number details follow all the tables. Which Mac browser scored best? Which scored worst? 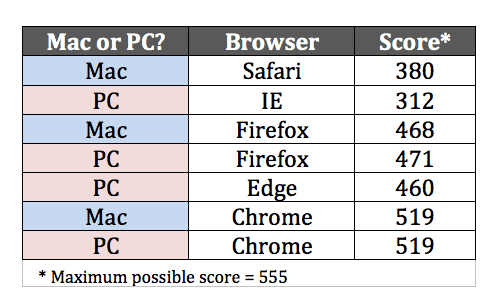 Do the Mac and Windows versions of the same browsers have different scores? 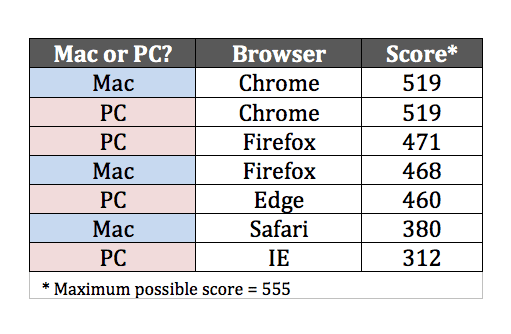 and Which browser scored the best overall? 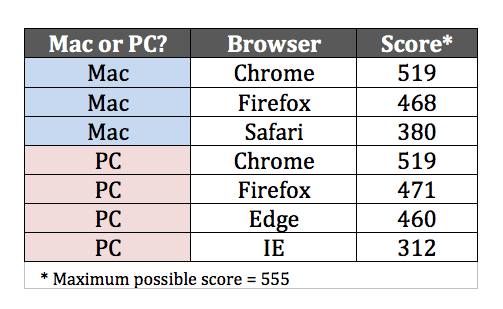 I hope these scores help you to decide if you should change your default browser. If you use a browser I didn’t test, please run the test and post the score in a comment to this post. 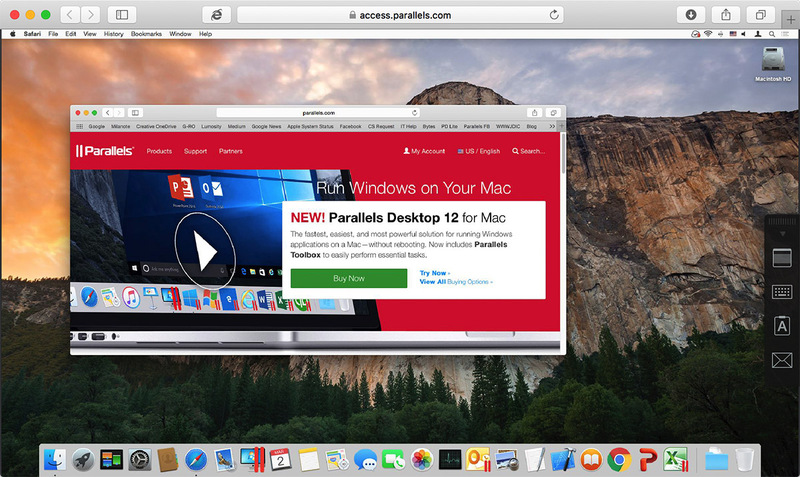 Try Parallels Desktop for free for 14 days and test all !